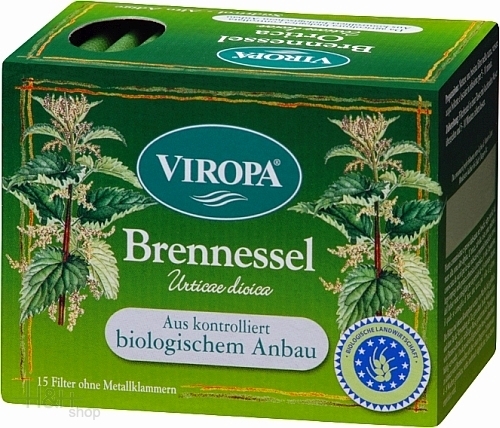 VIROPA Stinging Nettle ORGANIC The leaves of the upper herb tips of the Urtica dioica L., of the large nettle, are picked May to July and then dried for the production of tea. Nettle leaves and herbs are amongst the most widely used household remedies of all tim. The Melissa officinalis L. is a strongly branched plant. The Melissa leaves have an aromatic smell and taste, which reminds of lemon. Since Medieval times this plant has been widely used due to its calming and slightly antispasmodic effort. Herbal Mix Tatendrang 30 gr. - Gachhof Laimburg 7,60 EUR / 25,33 €/100 gr.